Have you seen the ‘Snake Juice’ guy on Youtube? Look him up. I find him hilarious but he’s definitely an acquired taste. He introduces himself on every video and then procedes to greet his audience with ‘Hey Fatty’. I’m not going to do that here but you’re likely on this page for one reason. If your intention is purely to lose weight then I’m delighted for you. It is a great start! 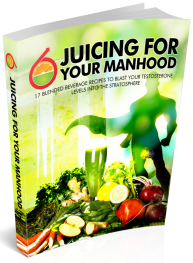 I urge you though to look at a juice fast as an introduction to a new, and healthier lifestyle. I hope that your first experience with juicing inspires you to continue to incorporate juices as a part of your daily or weekly food intake. Yes, juice is food – and in my opinion the best kind. No matter how long you juice for and how much you initially lose in weight, if you go back to your old diet, then as sure as the sun rises and sets, you will put the weight back on. Believe me, I’m speaking from experience. You can expect to lose around 1lb per day on a diet of juices only. This is a rough estimate though. No one can determine definitively how much weight you will lose as there are many factors that come into play, including your current metabolic rate, your current weight and also whether you exercise or not while on the fast. 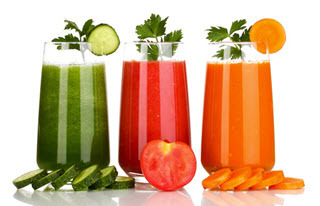 Aim to have 4 juices per day to consist of a combination of kale, broccoli, spinach, apples, ginger, lemons and carrots. Apples and lemons will sweeten the juice and make it much more palatable. Click over to read my own experience of a recent juice fast to see how I combined these fruits and vegetables. You should also try to have some herbal tea and drink plenty of water – at least 2 litres per day. I bought myself a Brita Fill n Go Water bottle. This purifies the water. Much better than drinking tap or even bottled water. Drinking loads of water will also help alleviate your hunger pangs. In conclusion, it’s not that difficult to complete a juice fast provided you don’t easily succumb to temptation. On my last fast I was able to cook food and watch my partner regularly downing pizza and all sorts. I’m convinced she was trying to break me:). She was missing her fast food partner. I’d love to hear your questions or comments about how you did on your fast. Please use the comments box to send me your feedback or get in touch using the contact tab. Click Here Now! to Discover How You Can Lose Fat in Days – AND Keep It Off. 8000 Success Stories Can’t Be Wrong!